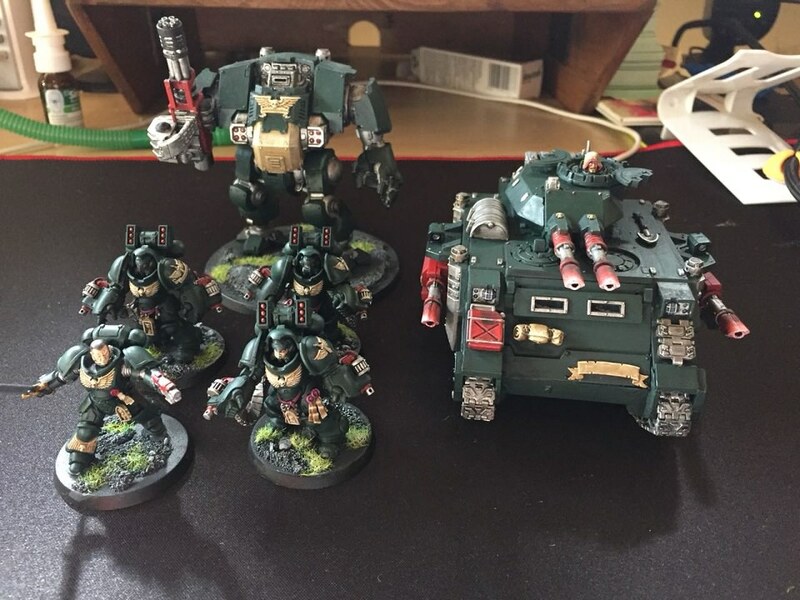 So Im new here, used to collect and play at Tyger Valley when Battle Bunker was still a Model/hobby shop back in 2005/6 or something. 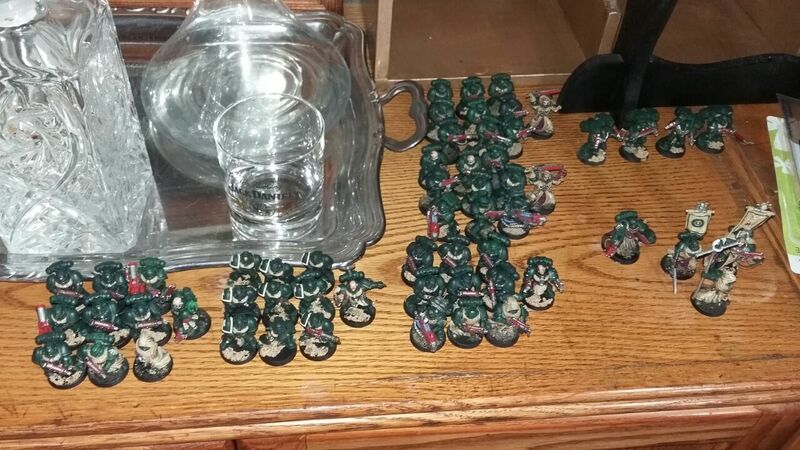 8th edition got me back into it, so Im slowly but surely stripping and painting my army up. 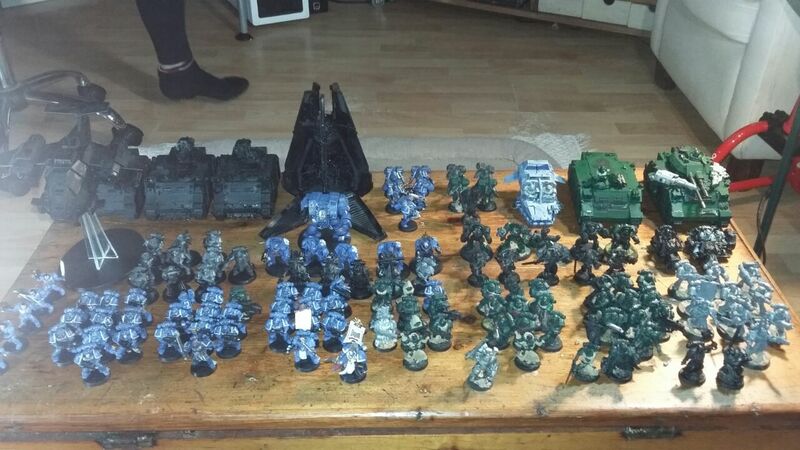 Bought a bunch of second hand stuff and thats in the works now too. 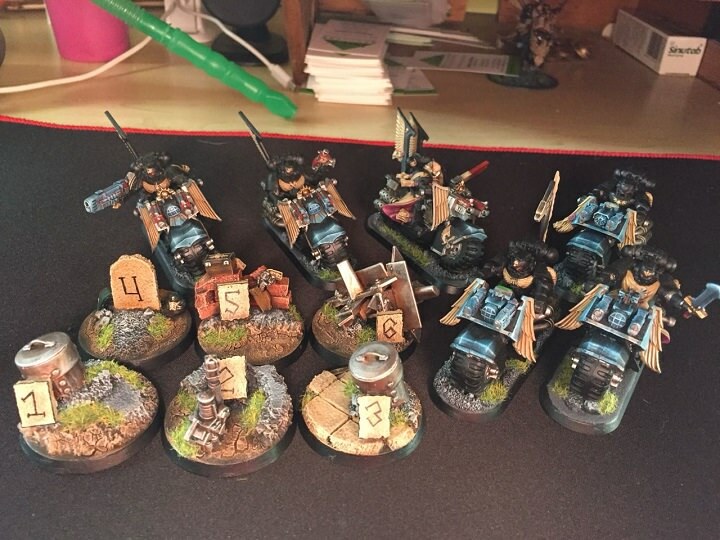 Just finishing up my infantry at the moment, thought I could use some feedback on my painting. Still getting back into the swing of things. 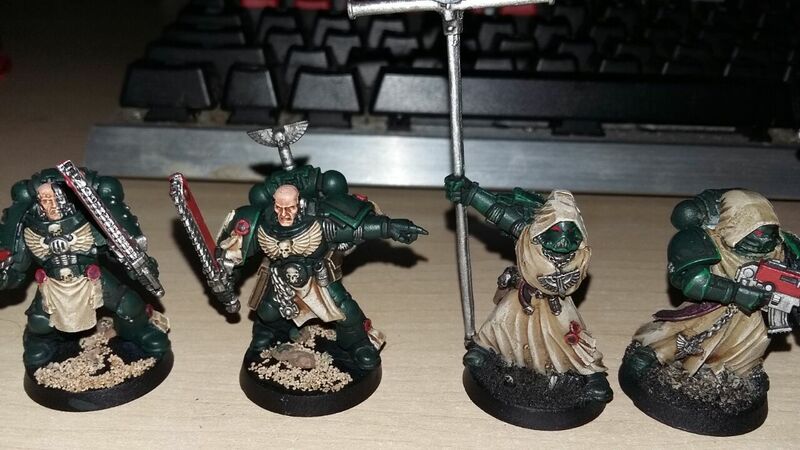 Stripped the models with Clean Green/nail polish remover, each worked differently depending on what primer I used. I used several different brands of spray when priming them befor, so some where more stubborn than others. 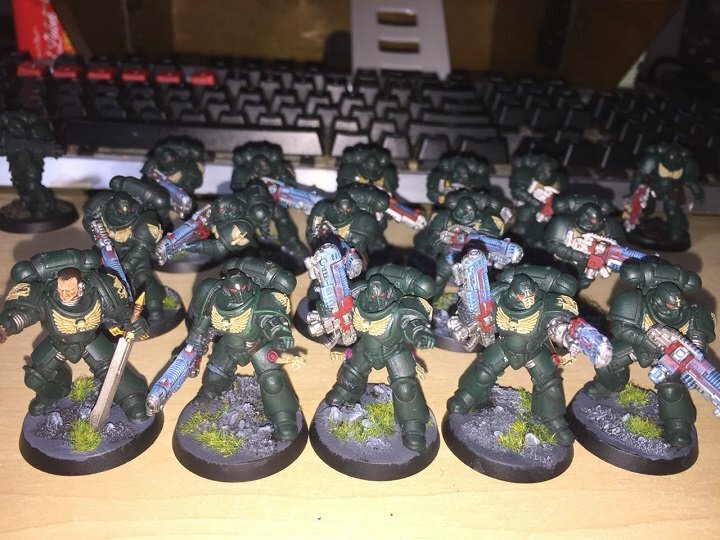 Started repainting from oldest to newest, edge highlighting on some of the old models proved to be a bit of a challenge, with dents and mould lines that I never got rid of/was a bit messy with chopping, but Im improving slowly. Still got some touching up and fixing to do on various, testing some with drybrushing highlights and some with edge highlighting. Some of the old characters, still with some arms and swords and stuff to stick on. 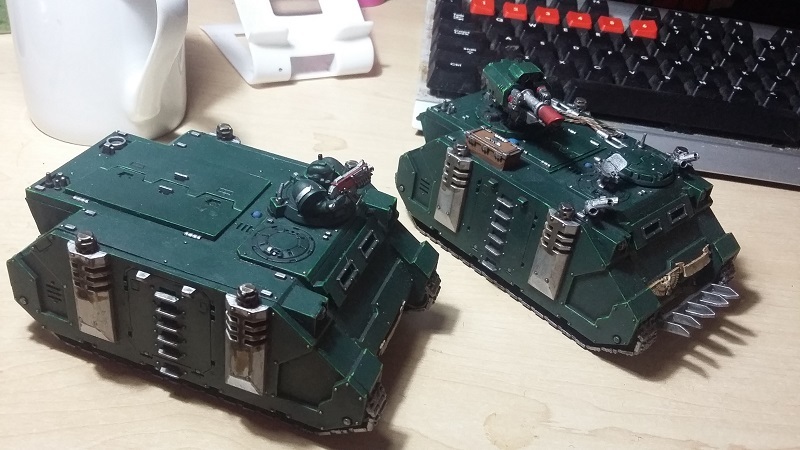 Started on some of the tanks, nearly finished my first Rhino and one of the Razorbacks. So yeah, any thoughts, comments, tips and tricks etc are more than welcome. I love the painting so far - the heavy washing really brings out the details nicely. No advice on the eyes unfortunately - I generally don't paint mine, just using the wash to give a suggestion of eyes instead. Havnt done too much recently, was cold season, so didnt wanna sneeze and ruin stuff. Also, the amount of stuff left to do is pretty intimidating. 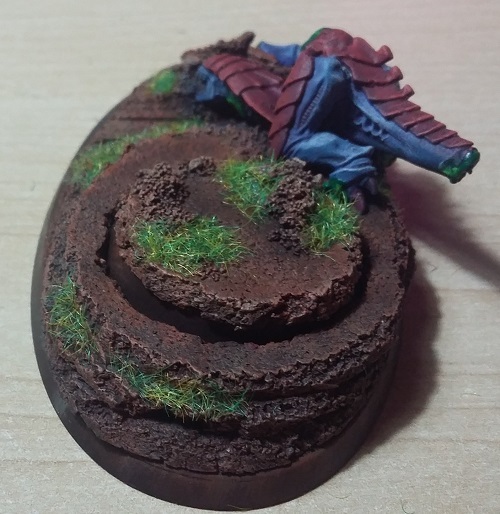 Then I tried getting fancy with basing and stuff for Cypher, grass came out very vibrant on the photos, its not actually that bright. 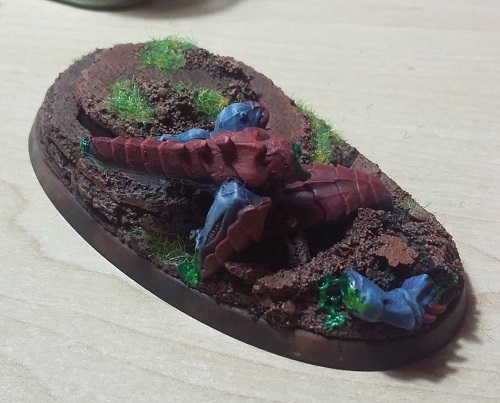 Also, think Im better at painting tyranids than Space Marines, lol. Looking good. Bases & Faces always delivers a disproportionate impact on the look of the model. 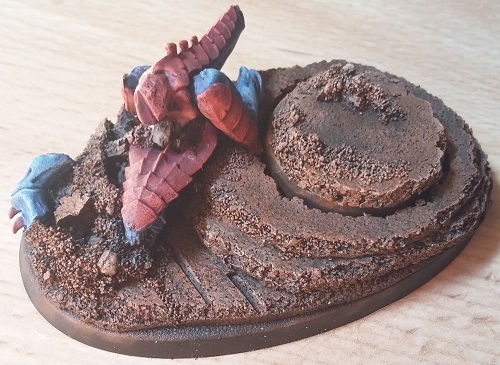 If I may make a suggestion do a bit of drybrushing on the edges and angles of the bases. Two shades of lighter brown and a cream or even lighter grey to get a bit more definition and depth. 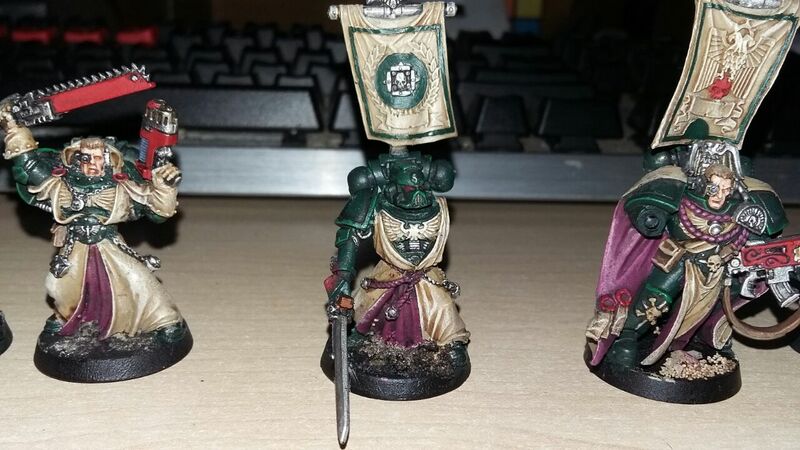 Sorry I am unfamiliar with a l the new GW colours (use a lot of Vallejo colours theses days. I did try that, went Rhinox hide into skrag brown into zandri dust, I guess I can try going a bit heavier on the zandri dust and a bit less on the skrag brown for the next one, may have gotten the balance a bit off. Will hit it with some more zandri dust tonight and see what happens. 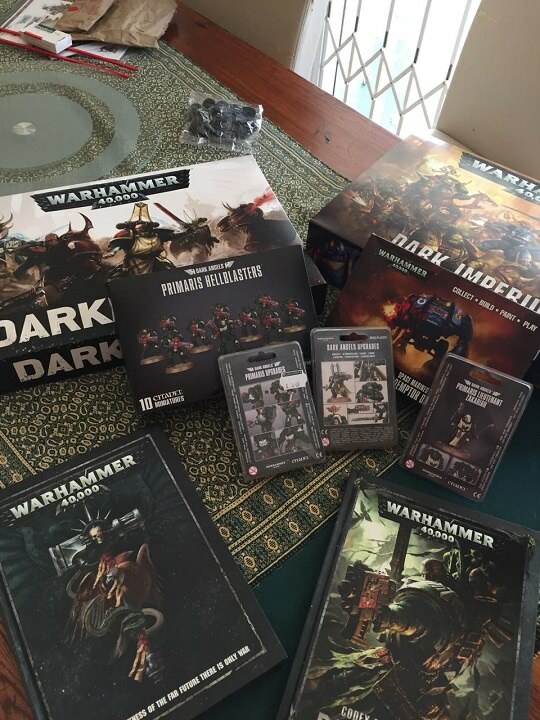 Christmas came early, the characters didnt arrive in time for my friend to bring them with him, so will have to courier those at a later date. A bit more incentive to get painting again. Still got a mountain left to paint and now I have more, lol. geekgrrrl wrote: I love the painting so far - the heavy washing really brings out the details nicely. No advice on the eyes unfortunately - I generally don't paint mine, just using the wash to give a suggestion of eyes instead. Deviance wrote: Christmas came early, the characters didnt arrive in time for my friend to bring them with him, so will have to courier those at a later date. Awesome! 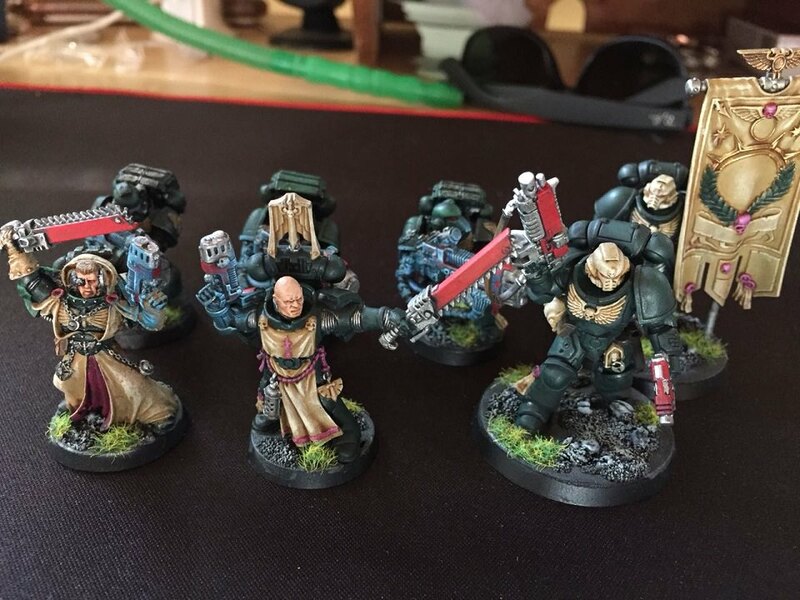 I'm quite enjoying putting the primaris together. Edge highlights still to go, but its getting there. finished up some characters this week, quite pleased with how Sammael turned out. Like it. 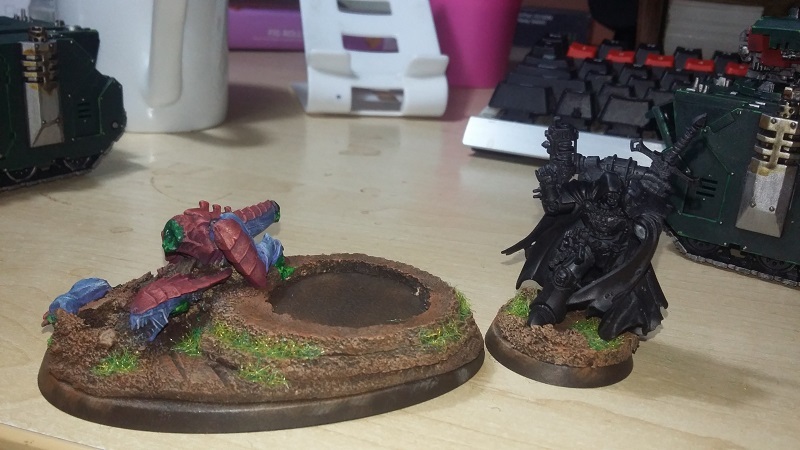 The bases look really nice and I enjoy the purple as a spot colour. Yeah the purple was initially just meant to be for the inside of the cloaks & alternate cloak colours, but I liked the way it highlighted so much I started going a bit mad with it. 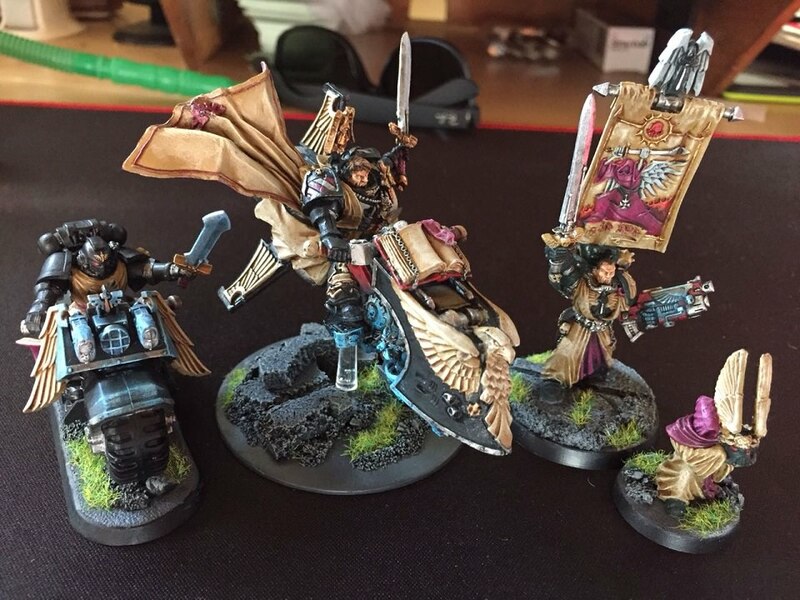 Still concerned that its a bit too much, like on the the Ancient and Azreals banner and the one seargeant, mostly because of using red on all the weapons. Damn, this is some nice work. I agree, Sammael turned out great. Keep it up.